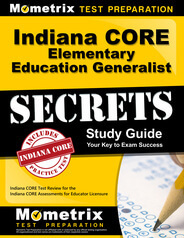 The Indiana CORE Elementary Education Generalist (ICEEG) exam is one of several such exams provided by Indiana CORE Assessments to gauge aptitude for education. While Indiana CORE exams cover a wide range of educational levels, the ICEEG exam is a required credential for those who wish to teach at the elementary level. Those who are hoping to obtain an instructional license to teach elementary school in Indiana are required to pass the ICEEG exam. When and Where Can I Take the ICEEG Exam? The ICEEG exam is a computer-based test and is offered at testing facilities administered by Pearson VUE, an IT service management company. These facilities are located throughout the state of Indiana and around the country. 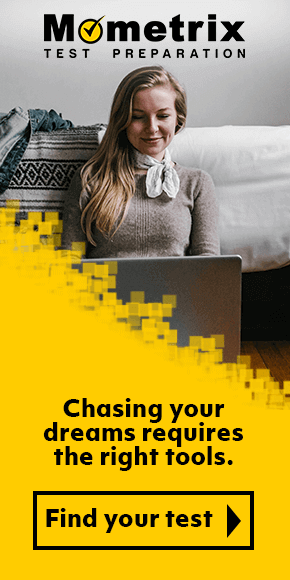 Tests are offered by appointment, year-round and are offered on a first-come, first-served basis. Testing facilities can be reviewed and appointments to take the ICEEG exam can be made on the Indiana CORE Assessments website. What Testing Policies Should I Be Aware of for Indiana CORE’s Elementary Education Generalist Exam? Those who plan to take the ICEEG exam should be aware of the test center rules, which prohibit several items and require others. For instance, participants are forbidden to bring mobile phones, handheld computers, watches, firearms, notes, books, pens, pencils, food or drink in the testing room. Friends, family or other visitors will not be allowed in the testing center. Studying for the exam is only permitted during pre-scheduled breaks. Participants will be required to bring with them one piece of current, government-issued identification in the name with which they registered. This identification must include a photograph and signature, as in a driver’s license or passport. During the ICEEG’s mathematics portion, an on-screen, four-function calculator will be provided. How Much Does the Elementary Education Generalist Exam Cost to Take? Participants in the ICEEG exam must pay $45 to take one subtest or $145 to take all four subtests. Payment can be completed using a credit or debit card. How Is the Content on the ICEEG Exam Divided? What Specific Content Areas Will Be Covered in the Elementary Education Generalist Exam Provided by Indiana CORE? When Will I Receive My ICEEG Score and What Score Is Needed to Pass? Participants in the ICEEG exam will receive a preliminary score report at the test center immediately after taking the exam. This score report will then become available via their online accounts within 10 business days. Candidates must receive a score of at least 220 on each subtest in order to pass the full exam. How Can I Achieve a Passing Score on the Indiana CORE EEG Exam? When attempting to pass an elementary education generalist exam such as the ICEEG, prospective participants should spend their time drilling with flashcards and reviewing a study guide. Mometrix Test Preparation can provide both a flashcard set and a study guide that have been proven to help participants reach a passing score on the exam and further their career in elementary education. 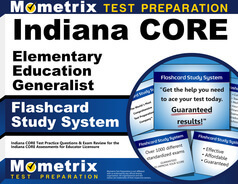 Mometrix has your back when it comes to preparing for the Indiana CORE EEG Exam. 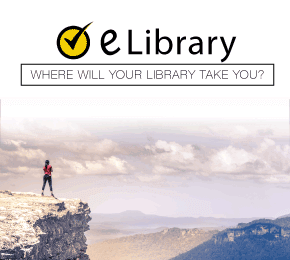 We have developed a Indiana CORE EEG Study Guide with all of the content you’ll need to know for the exam, as well as some tips to help you overcome any anxiety that may come with taking the exam. Our Certified Management Accountant Flashcards are the perfect complement to your test preparation materials, to ensure your success.